I am Tiffany Marshall, mother, a full time student, and traveling around the world with my family. My husband is in the USA navy, so we move A LOT!!!! this is fine with me because I love the adventure. What motivates you to tackle your fitness goals? Feel free to talk about your athletic background, health goals, competition endeavors, modeling goals, etc. My motivation was to be the best I can be. I wanted to find that happy place & challenge myself at the same time. I had come across some negativity in my life, and this can really get you down in the dumps. I needed to get out of that bad place, and show them I can do great things. 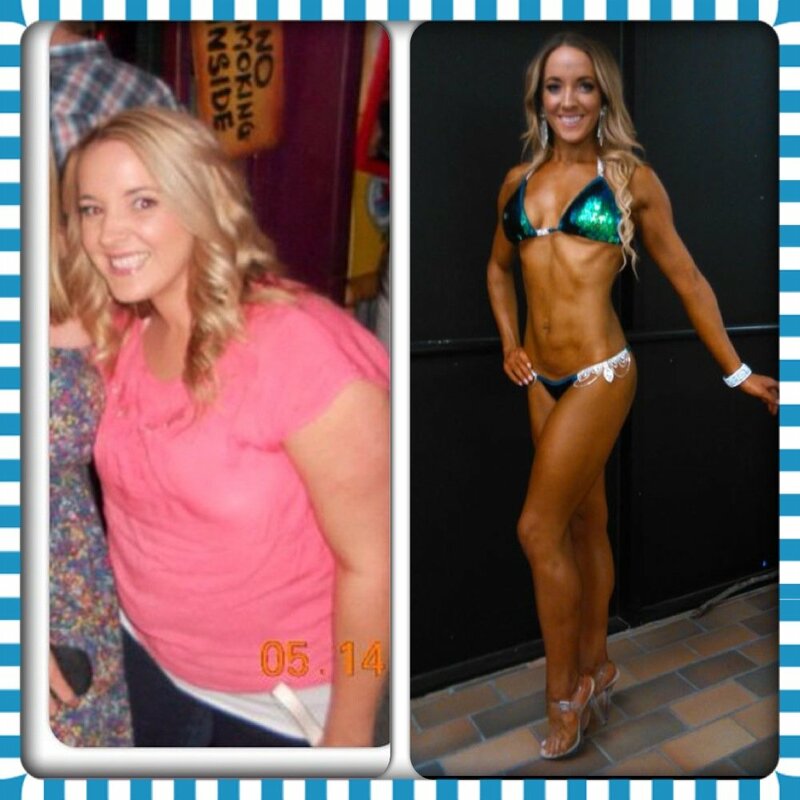 My goal was to compete in my first ever fitness show & I did it….TWICE :). I am still so motivated to be the best I can be every day. What has been your proudest fitness accomplishment to date? May involve completing a show, doing a shoot, being in great shape at a special event, improving health, inspiring loved ones, etc. My proudest fitness accomplishment so far is competing and turning BIKINI PRO!!. What a fun journey it was!! I would also say that getting healthy was also a great accomplishment. Olesya taught me so much about clean eating, and the benefits of eating the right food. it truly made a difference to how I felt. can I say the early morning cardio??? ok… so the early morning cardio was a little bit of a struggle in the beginning, though once I had done it I felt great!! its always hard to get out of bed, though once i had finished my run, I would always have so much more energy! Because this was my first time competing, you always wonder if you are going to be ready, I feel its because you have nothing to compare it to. Though I had to relax, and trust that Olesya is the professional at this, and she would give me the tools to step on that stage & make sure I was ready. I would Love to compete again, I love the challenge & the feeling of accomplishment it gives me. I would also love to do a few fitness photo shoots & see where that takes me. I really love the fitness industry, I find it inspiring that everyone has their own story of accomplishment. what do you define as a meal???? is dark chocolate a meal?? Honestly my cheat meal is a good old home cooked meal with family, and some wine. No counting macros, no guilt feelings, just whatever the family is enjoying is enough for me…… with dessert of course! What type of training do you like best? *You can specify type of program split, whether you prefer weights or cardio and what kind, other physical activities you enjoy, etc. weights! I love lifting weights! I love that feeling of strength and confidence it gives you. My favorite muscle group to work out is shoulders and legs. I’m not much of a cardio fan, though i do like the stair climber for that booty!! I like a little bit of everything really. when I am doing cardio I like up beat muscic…. totally a Kylie Minogue & Brittney fan haha! When I’m lifting weights I love listening to the Foo Fighters, Iggy izalea, Calvin Harris, Skrillex, anything that gets me pumped up. “one more push-up and you get a taco” Im kidding of course. I would have to say “what doesn’t kill you makes you stronger” This is very true in so many ways. Just go for it. You have nothing to lose and everything to gain. The best coach ever!!! Olesya was so great to work with. My Amazing Husband David, who is deployed in the USA navy right now. Even though he was away for this whole journey away, he has been my support system. The crazy emails he put up with from me, he truly deserves a metal. And my Mum, Dad in Australia & munchkin Oliver for being an awesome support system for me. Would you recommend Olesya’s coaching services to others? If so, please describe what made your experience positive. If not, why not? I would certainly recommend Olesya as a coach. Oleaya made this experience such a pleasurable one. She was fast with emails, took my phone calls, and not to mention was so sweet. Her knowledge & experience in this field is amazing and she is extremely professional. I love that all food guidance she gave me was all clean eating. No unnecessary supplements, & she has your health and well-being at heart. I will for sure be using her for my next competition prep, and future photo-shoots. Do not hesitate to hire Olesya right now.. there is a reason she is the best. This entry was posted in Success Stories and tagged motivation, success story, testimonials.